The Vanquish VS4-10 Origin Black takes everything you love about the VS4-10 and turns it up to 11 with black anodized components and updated bracing in the box! 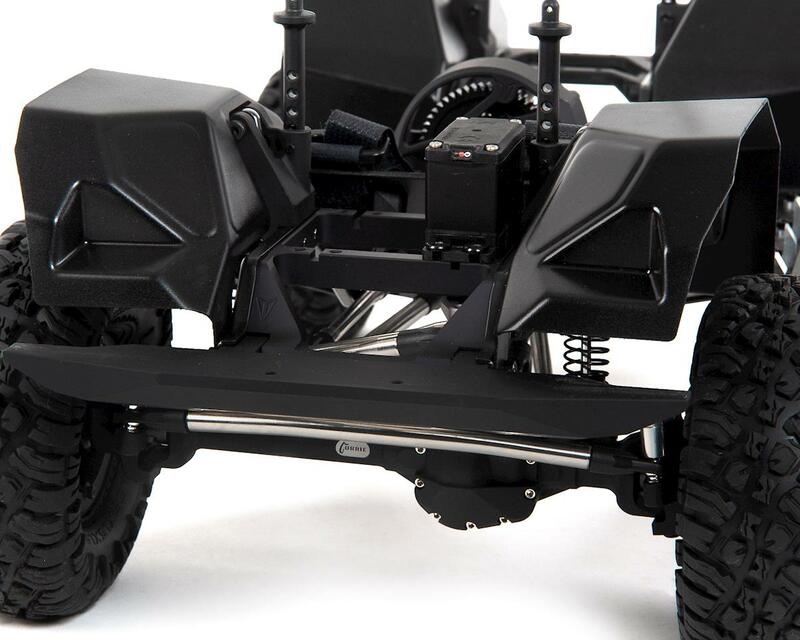 The VS4-10 evolved from years of producing the highest quality upgrade parts for scale RC vehicles and developing that knowledge into the most durable scale platform offered today. The VS4-10 platform includes a plethora of features and boasts a level of quality and detail that has never been available in a box stock kit – until now. The VS4-10 drivetrain is based off of the proven parts you already know and trust. 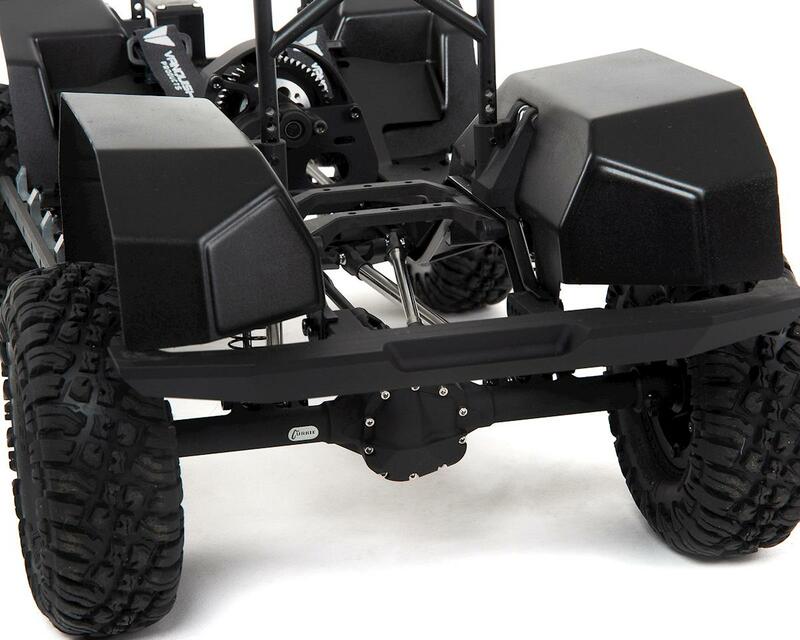 The licensed Currie Enterprises RockJock 44 style front axle features an offset front differential housing and uses chromoly VDI universal axle shafts, high-pinion hypoid ring gear, chromoly 6 bolt spool and patent pending one-piece bearing retainers to create an incredibly scale and durable front axle assembly. Integrated inner c-hubs create an unmatched scale look and are strengthened to provide the most durable axle housing possible, with easily replaceable chromoly threaded inserts for the knuckle king pin screws. The rear Currie RockJock 44 style axle features a centered differential housing and equal length chromoly axle shafts, with the same gears and spool found in the front axle. Still in the box, got other builds to do before I fully engage myself to this. I already have some Currie axles, F9 and RockJock, and I am highly impressed with the quality of craftsmanship and material. 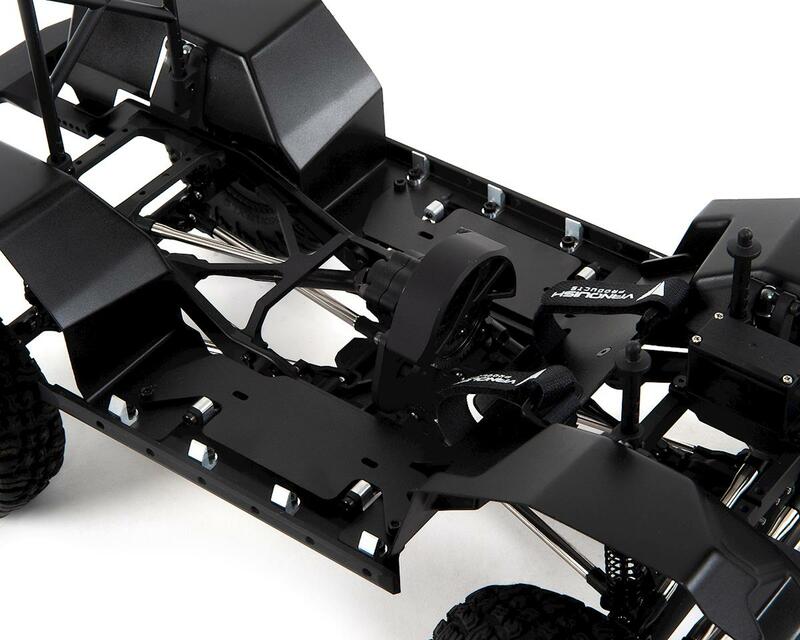 Now getting the VS4-10 in the black, had to open the box and see if the kit complimented the the axles, and I have to say that the kit is going to be a fantastic build. All the parts appear to fit cleanly to each other and having the included add on cross braces without hiking up the price is great. The scale accessory manufacturers getting parts out so soon is another plus. All Pro's and the only con I have is the decision for what electronics I want, recommendations from Vanquish would be nice. 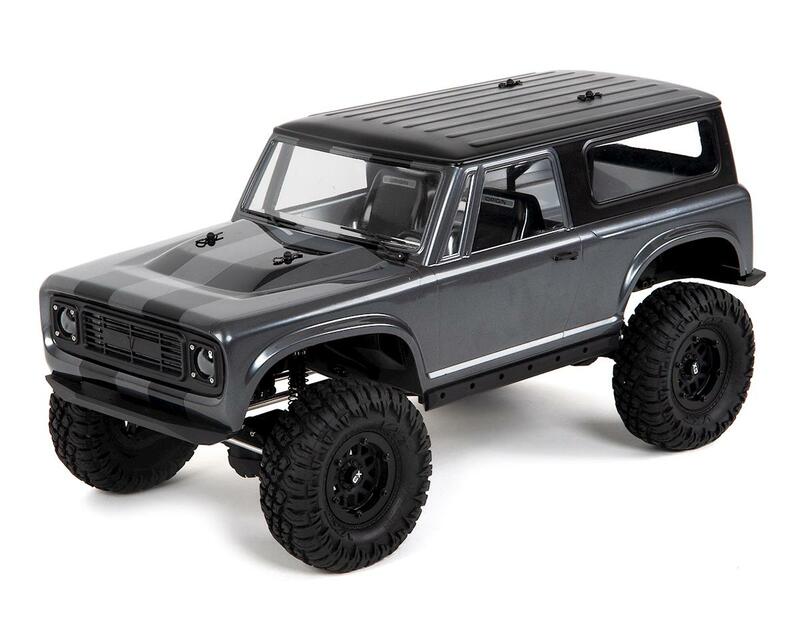 Something that could give you an idea of what to get for scale/trail or crawling. Personally I am looking for something that can get me to ~10mph, have lots of torque without shearing pins, axles drives, gears, or hub hexes, crawl smoothly at a snail pace, and at least trail for an hour without changing batteries. AMain has packages, but I would like to see each run in the VS4-10. Right now I am kind of leaning towards Castle Mamba X esc, Holmes Hobbies Puller Pro 540 2700kv, Spektrum RC SRS6000, and MKS HV777A+ Coreless Titanium Gear High Torque Digital Servo. Battery mah of about 4500 - 5000 100C 2s, 3s would be fine if it doesn't open up the increased probability of the above mentioned issues breakage. 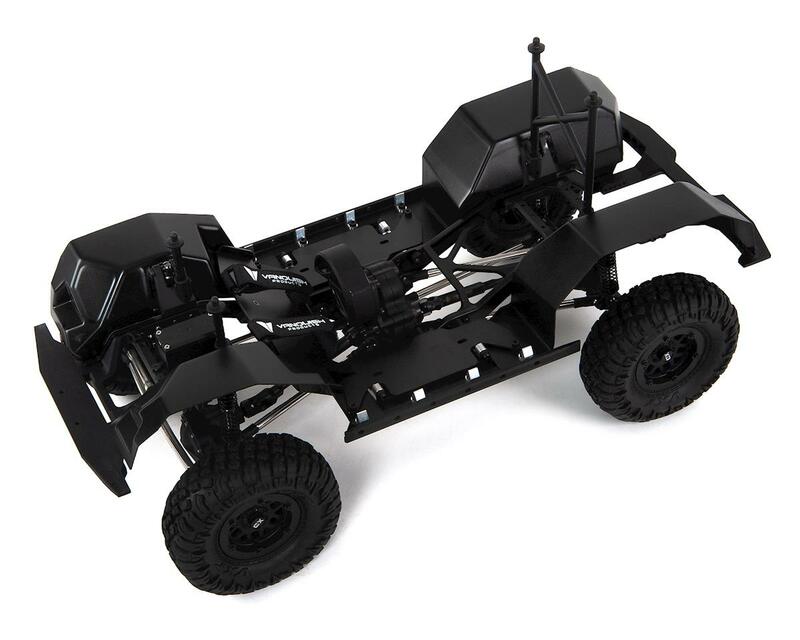 This product is a horrible choice for a crawler the wheels and tires in the kit are horrible but the great news is if u expect any kind of crash you are gonna bend this truck and warranty will not cover any of it the kit goes together amazing and all the components are excellent except the frame!!!!!!! !